After serving in the Royal Navy during World War II, with spells at hometown clubs Bristol Rovers and Bristol City, young striker Roy Bentley might not have imagined such an illustrious career lay ahead, featuring alongside some of the most renowned players in English football during the 1940s and through to the early 1960s, and also making a firm name for himself amongst them. In 1946 he departed Bristol for the north-east and Newcastle United, forming part of a fearsome attacking line-up that also boasted Jackie Milburn, Len Shackleton and Charlie Wayman; contributing a respectable 22 goals in 48 appearances for the Magpies. However, while the history books often refer to his eventual departure south as being under doctor’s orders, as a remedy for the occasional lung problem he suffered, cleaner air wasn’t the only reason; and the anecdotal tale is far more amusing. Living in a flat belonging to the sister of a club director, Bentley complained that his accommodation wasn’t entirely satisfactory and in particular, the dirty bathroom. Newcastle manager George Martin apparently visited himself to take a look at the offending room in question, shrugging his shoulders and suggesting it wasn’t something a spot of paint wouldn’t fix. Roy was less than impressed, and that proved the deciding factor in his move to London, when Chelsea paid what was then the princely sum of £11,000 in January of 1948. Some distance behind Manchester City in the 2017-18 Premier League table, Chelsea are currently 66/1 title outsiders in the football betting tips, so if the current crop of players think they’re having a rough ride, imagine how Bentley felt when he arrived at Stamford Bridge; scoring just four goals during the remainder of the 1947-48 campaign, and hardly the replacement for Tommy Lawton that fans of the era were hoping for. Nevertheless, Bentley was keen to prove himself and switched to playing as a deep-lying centre forward by his manager - quite a tactical innovation at the time - he started banging in the goals. The first complete season with Chelsea would prove to be the springboard, finishing the campaign as the team’s top scorer, as powerful heading prowess and Roy’s rocket shots from deep brought an impressive 23 goals. Impressive club form in the Football League also earned a first England cap, on 13th May 1949 in a 3-1 defeat against Sweden in Stockholm. During his eight exceptional campaigns with the club, Bentley was the highest scorer in the side every season, hitting 150 goals in 367 appearances in all competitions, earning himself a legendary status in the Chelsea history books. Undoubtedly, the most memorable of those seasons was the 1954-55 campaign, leading the team as captain and shooting Chelsea to the their first ever Football League title, contributing 21 league goals and even a hat-trick against his former club, Newcastle United. One has to wonder if that was his revenge for the dirty bathroom departure several years prior! 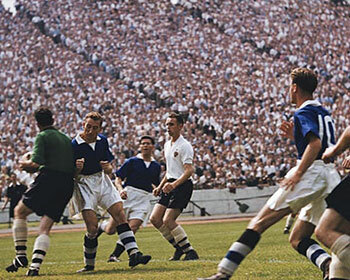 Chelsea were unable to defend their title and some way off the pace, as the Busby Babes of Manchester United began to dominate, back-to-back champions during the 1955-56 and 1956-57 seasons. It would also mark the beginning of the end for Bentley as a Stamford Bridge hero, as manager Ted Drake dismantled what was an ageing squad, letting Roy depart for London rivals Fulham early in the 1956-57 campaign. 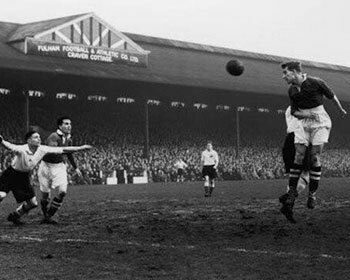 Converted to playing as a defensive centre-half at Craven Cottage, he helped Fulham reach the semi-finals of the FA Cup in 1958, before departing to nearby Queens Park Rangers, where he would play out the rest of his career into the early 1960s. 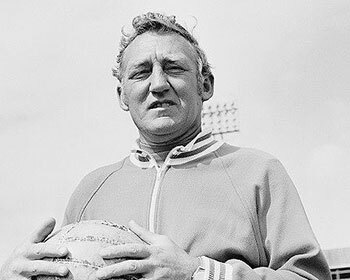 The natural progression for a man so passionate about his football was inevitably into management, coaching Reading from 1963 to 1968, then helping Swansea City gain promotion to the old Third Division during his tenure between 1969 and 1972. Bentley joined Reading again in 1977 for a spell as their club secretary, then afterwards, lived in Essex. However, in 2014 he returned to reside in Reading again, and following the death of Tom Finney that same year, Roy is the only surviving player from the England World Cup squad of 1950. 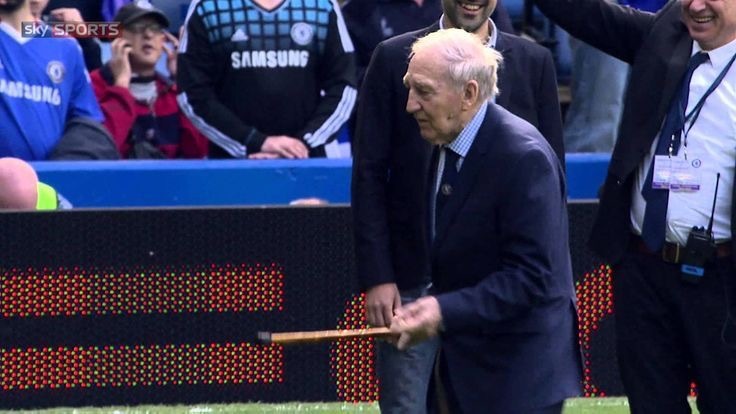 After celebrating his 93rd birthday on 17th May 2017, he still loves his football and on occasion, remains a very welcome and popular visitor at Stamford Bridge for Chelsea games.